Honda launched the all-new Civic in the Indian market last month, and the car has already gained quite a popularity. In just 40 days since the official bookings started, the all-new Civic has received 2,400 bookings, which has stretched the booking period by quite a lot. Well, the all-new Civic has returned to India after 7 years break, which is quite long. The 8th generation Honda Civic, which was launched in India 2006 and Honda sold around 50,000 units in five years of the car’s existence in the Indian market. There are many Honda Civic sedans in immaculate shape in the Indian market and owners do everything to keep them in the top-notch, factory-fresh condition. 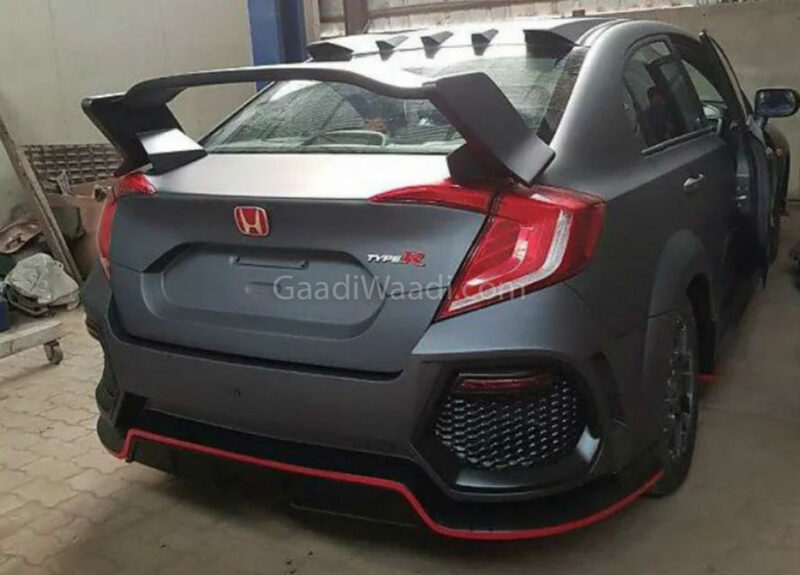 Well, here is an eighth-generation Honda Civic owner who has modified his vehicle to look like the all-new tenth-generation Civic. How does it actually sound? The modification job completely transforms the front and the rear end of the vehicle. The front of the car gets a new face with a single-thick grille that can be seen on the all-new Civic and all other new-age Honda cars. Even the bumper of the vehicle has been updated to look more aggressive. The bumper of the car has also been updated to a new, more aggressive looking version. The stock headlamps have been replaced with new, sleeker looking lamps with LEDs inside. 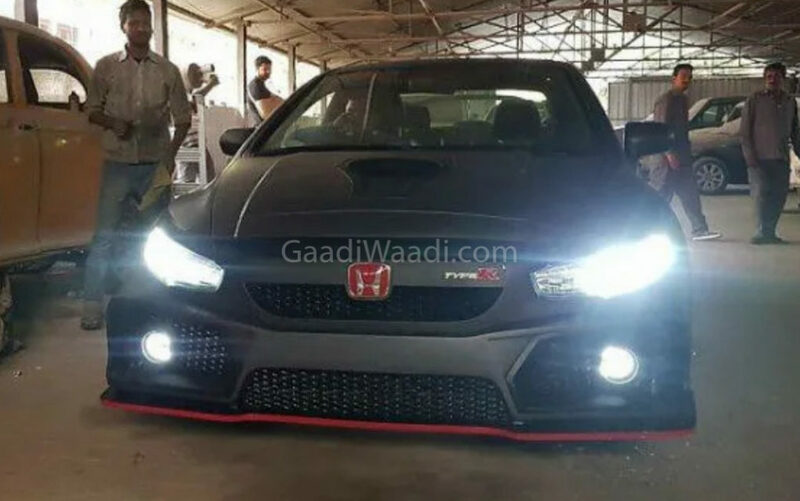 The car looks very different from the older Civic available in the Indian market, but the finishing of the transformation job is not something that will be appreciated by most enthusiasts. 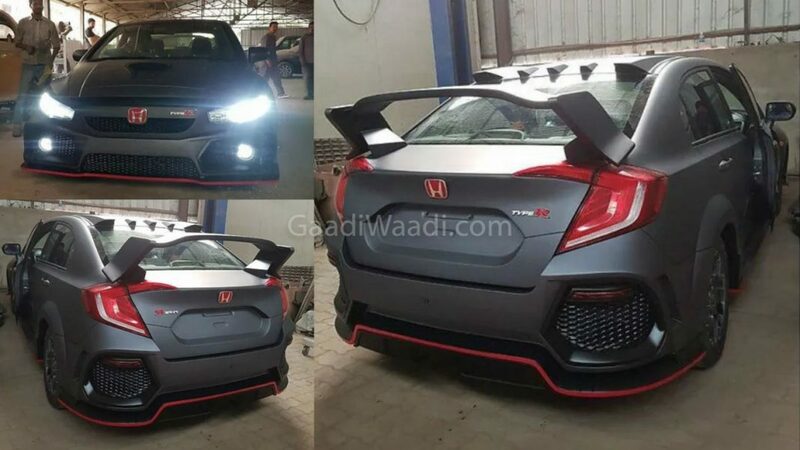 The rear also sees a lot of changes to make it look like the new-generation Honda Civic. The back gets new C-shaped LED tail lamps that look very close to the present day Honda Civic. What’s more, to give justice to the ‘Type R’ badge on the front grille, it gets a huge spoiler mounted on the boot lid. The 8th-generation Honda Civic looks quite elegant while the latest-generation Civic is all about aggressiveness. Both vehicles have their own charm.